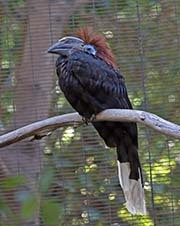 The Black-casqued Hornbill is also known as the Black-casqued Wattled Hornbill. They are found in Africa. They are sexually dimorphic. 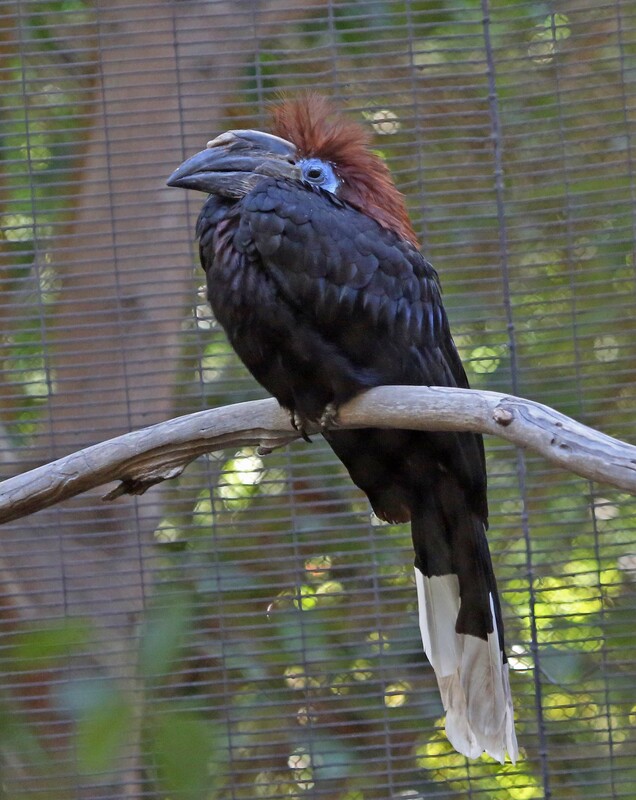 The male is black and the female is black except for a brown rufous head and neck. Both are blue around the red eyes. The male also has a blue wattle. They mostly eat fruit (e.g., figs, oil palms, etc. ), but will also eat small animals and insects. Back to: Kingfishers, Rollers,, etc.